These amazing detail of the Bass Smasher Frogs fools even the wariest of bass! 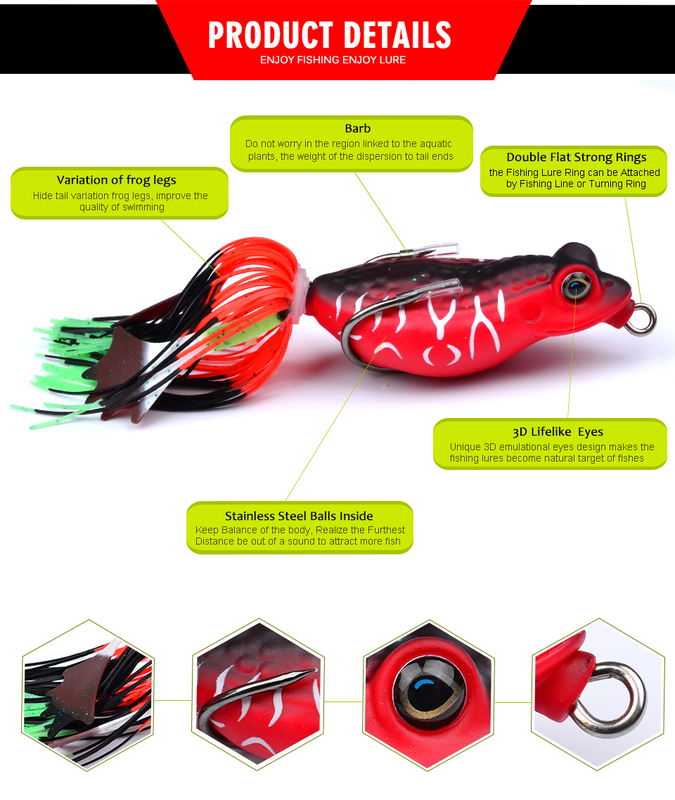 Collapses upon bite for easier and better hook penetration making sure you never lose another bass! 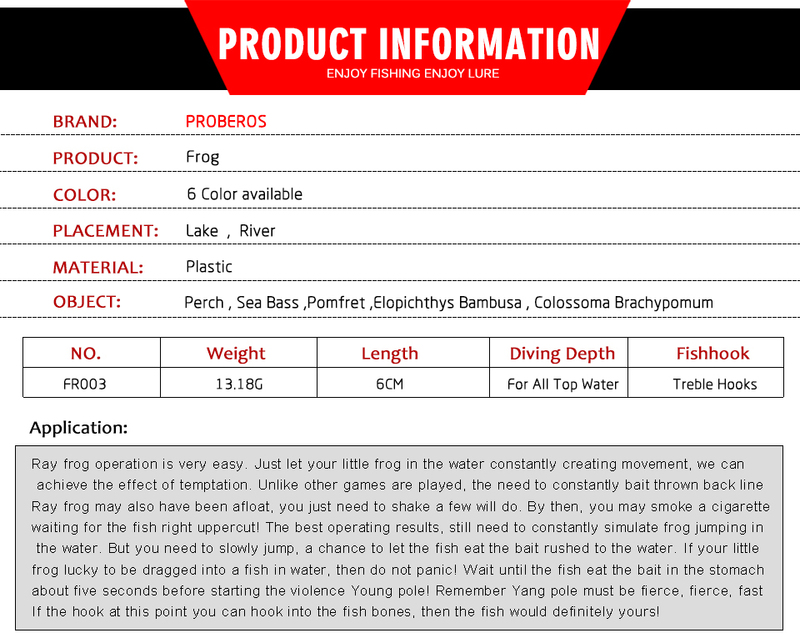 Sits in the water like a real frog, and with its realistic body design, makes it irresistible for any bass. Two high strength hooks give it excellent hooking action, and the "weedless" design makes sure it doesn't get stuck!